“Butterflies of the Bernard Field Station“! 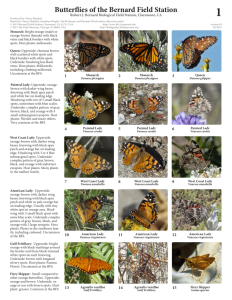 Produced in conjunction with the Field Museum, Chicago, who developed the Rapid Color Guide format, the guide is illustrated with live photos (most taken at the BFS) of all butterflies that have been documented at the BFS, with brief descriptions of key field marks as well as host plants for each species. 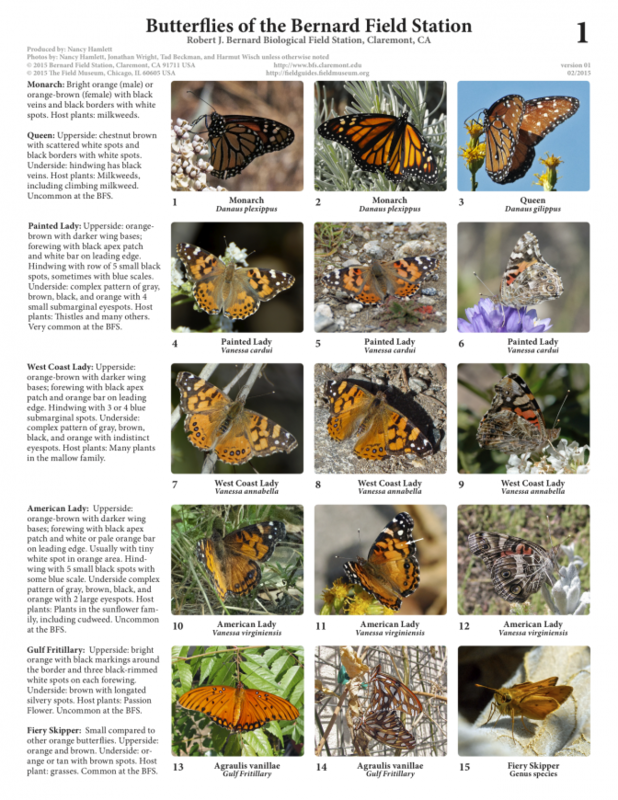 This is a great resources for students wanting to study butterflies at the BFS! We are very grateful to Rebecca Collings of the Field Museum for providing the Guide template and assisting us with the production, and to Jonathan Wright, Hartmut Wisch, and Tad Beckman for contributing photographs (in addition to myself). We also thank Nick Grishin and Jim P. Brock of Butterflies of America and John Pickering and Bobby Hattaway of DiscoverLife.org for permission to use their photos of the uppersides of the sulphur butterflies. You can download the Guide as a PDF from either the BFS website or the Field Museum website.